Sheaffer Targa 1001XS Slim model fountain pen from the 1980s, made in Australia. This is the first version with a brushed steel cap derby instead of a shiny smooth gold plated one. Cartridge/converter filler in Brushed Chrome with gold plated trim. Sheaffer inlaid steel nibs in various widths. Superior condition, ships with a converter. Product Name Targa 1001XS. This is a slim white dot model. 1001 refers to the brushed steel. X refers to the gold plated trim. (It would have been 1001XGS with the original 14k gold nib). X refers to the gold trim. This is the first version of the Targa 1001XS. Manufacturer and Year Sheaffer, body and cap made in Australia - 1982-88, much like the full sized version the cap derby changes after 1988. 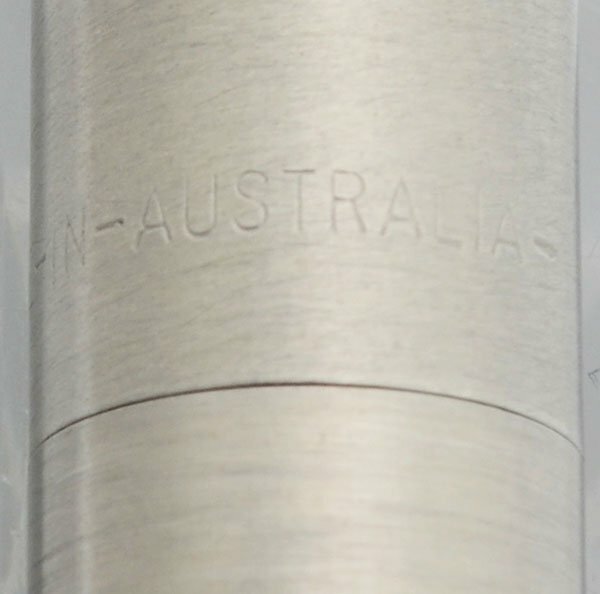 The nibs were made in USA and Australia. If you have a preference, please send us a message before buying so that we can make sure we still have one. Length Just under 5-3/8 inches. Filling System It takes slim Sheaffer style cartridges and converters. 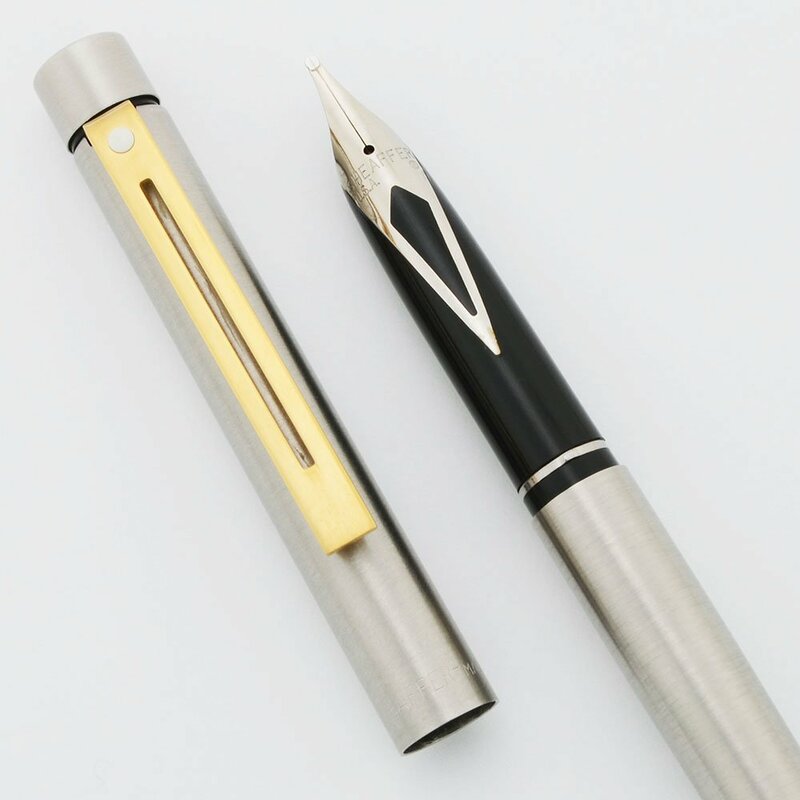 You can use the included Kaweco Sport squeeze converter to fill it from bottled ink. The original Sheaffer slim squeeze converters are hard to find, but we've found these simple Kaweco Sport converters work well. Color Stainless steel with brushed finish and gold plated trim. It has the earlier brushed steel cap derby. Nib Steel nibs (this model would have orignally had 14k nibs). Select nib size from pull down menu. Condition New old stock with a few light marks picked up in storage. Nibs adjusted prior to shipping.